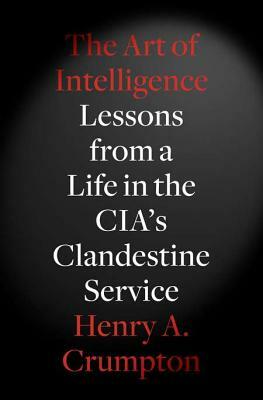 "A legendary CIA spy and counterterrorism expert tells the spellbinding story of his high-risk, action-packed career while illustrating the growing importance of America's intelligence officers and their secret missions"
For a crucial period, Henry Crumpton led the CIA's global covert operations against America's terrorist enemies, including al Qaeda. In the days after 9/11, the CIA tasked Crumpton to organize and lead the Afghanistan campaign. With Crumpton's strategic initiative and bold leadership, from the battlefield to the Oval Office, U.S. and Afghan allies routed al Qaeda and the Taliban in less than ninety days after the Twin Towers fell. At the height of combat against the Taliban in late 2001, there were fewer than five hundred Americans on the ground in Afghanistan, a dynamic blend of CIA and Special Forces. The campaign changed the way America wages war. This book will change the way America views the CIA. "The Art of Intelligence" draws from the full arc of Crumpton's espionage and covert action exploits to explain what America's spies do and why their service is more valuable than ever. From his early years in Africa, where he recruited and ran sources, from loathsome criminals to heroic warriors; to his liaison assignment at the FBI, the CIA's Counterterrorism Center, the development of the UAV Predator program, and the Afghanistan war; to his later work running all CIA clandestine operations inside the United States, he employs enthralling storytelling to teach important lessons about national security, but also about duty, honor, and love of country. No book like "The Art of Intelligence" has ever been written-not with Crumpton's unique perspective, in a time when America faced such grave and uncertain risk. It is an epic, sure to be a classic in the annals of espionage and war. Henry A. Crumpton is chairman and CEOof Crumpton Group LLC, a strategic international advisory and business development firm. With the rank of ambassador at large, he served as the coordinator for counterterrorism at the U.S. Department of State from August 2005 until February 2007. Crumpton joined the Central Intelligence Agency in 1981 and spent most of his twenty-four-year career working undercover in the foreign field. He is the recipient of the Distinguished Intelligence Medal, the CIA's highest award for achievement. Crumpton received a B.A. from the University of New Mexico and a master's, with honors, from the Johns Hopkins School of Advanced International Studies."